One Owner. Dealer maintained and serviced. Factory warranty remaining from Toyota. 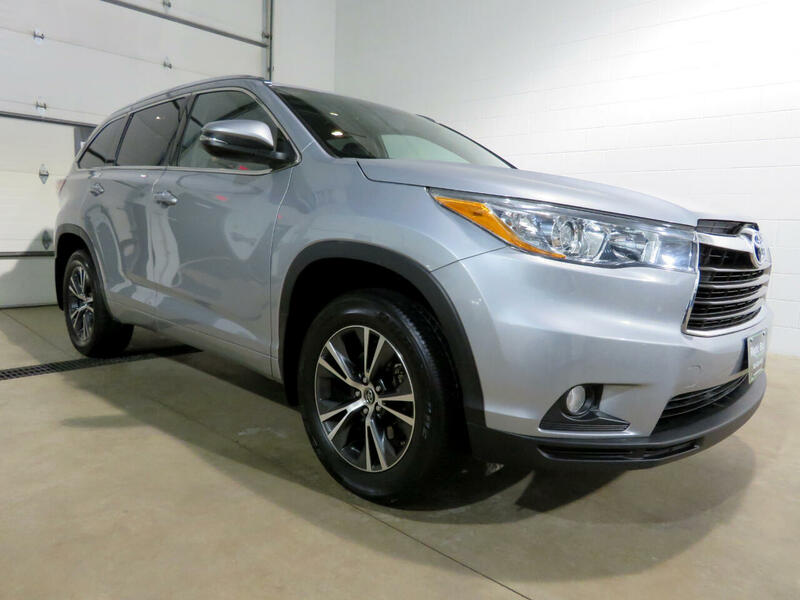 This is the Toyota Highlander XLE AWD model. Some of the features include 3.5L V6 mated to a six speed automatic transmission; remote start; heated power leather front seats; second row captains chairs; 3rd row split fold seating; three zone front automatic climate control 2nd row control panel; Entune premium audio w/integrated navigation and app suite w/8" high resolution touch screen display; smart key proximity key w/remote keyless entry and push button start; back up camera; power moonroof; 2nd row window sunshades; auto dimming rearview mirror; Homelink; leather trimmed tilt/telescoping 3 spoke steering wheel; power liftgate; automatic headlamps; 18" alloy wheels; AWD and much more. Every vehicle at Right Buy comes with a full inspection report CarFax vehicle history report affordable extended warranty options and low rate financing options. Set an appointment to view the vehicle in our heated indoor show room. 4 YEAR 75K MILE BUMPER TO BUMPER EXTENDED WARRANTY AVAILABLE FOR $1,290 or 8 YEARS OR 120K MILES FOR $1,685.